Here we include a cover letter for a military professional with experience in Operations, Production and Logistics. This is a cold cover letter that can be sent out to any production related company and it is not addressed to a specific individual or business. 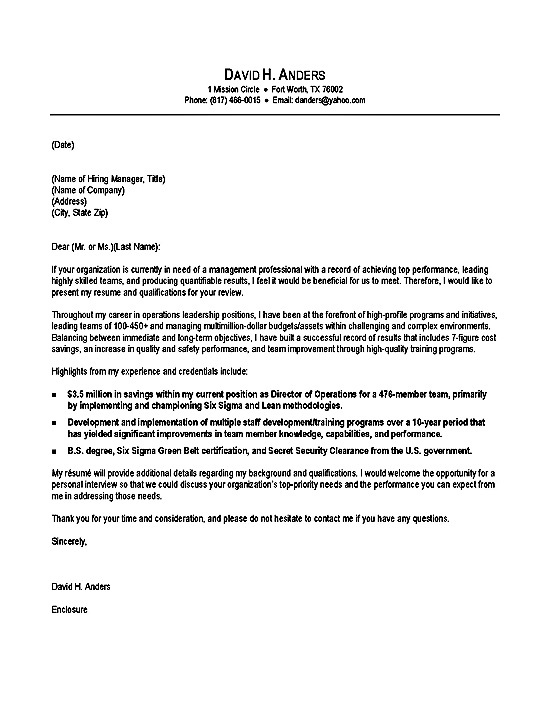 This cover letter focuses on management and leadership skills specifically operational management and efficiency. The body of the cover letter highlights specific career achievements with an excellent example of how to integrate quantifiable results. For example, the first bullet point demonstrates a $3.5 million savings managing a large team through expertise in Six Sigma and Lean Methodologies. Another statement goes over training program implementation, which is a good example of a transitional achievement. The cover letter also documents training and team leadership skills, education, key security clearance and the Six Sigma certification. 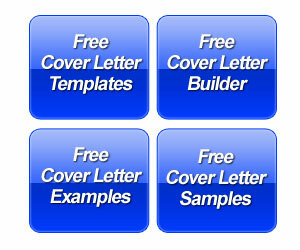 The cover letter closes with an invitation to schedule a personal interview. Production and Operations are great transitional fields for those moving from military to civilian jobs. This can be especially true for those individuals that had spent a lot of their military career in battle. These are people that understand organization, strategy and logistics. If you can move soldiers in battle then you can help a producer in the private sector. Otherwise, there are lot of military professionals that worked in logistics and already have direct experience moving supplies from one point to the other. In the military the goal isn’t profitability, so you may not have many accomplishments tied to revenue. But if you have moved supplies or moved soldiers and your actions led to a positive result, then make sure to emphasize this on the cover letter. 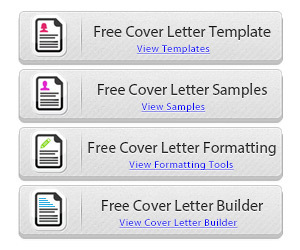 Operations Production Cover Letter Example By Career Wizards Inc.